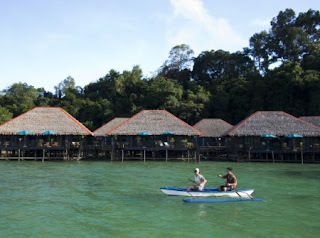 Tunku Abdul Rahman National Park, Kinabalu, Malaysia consists of 5 beautiful small islands, one of which Gaya Island. In addition, the beautiful sea, tourists can relax while preening in front of the camera and coupled with the natural beauty of Gaya Island. Named Gaya Island, does not mean the island is the most eccentric. 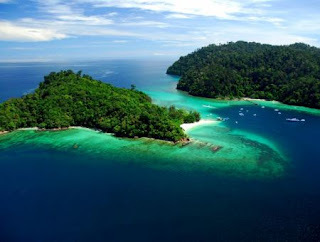 Island has an area of ​​approximately 15 square kilometers is derived from the meaning of the word Gayo. This is because the style being the largest island of the four islands. Conditions are very clear island waters make it easier for tourists to watch the underwater life. The fish are beautiful, colorful along with other marine life often attract the attention of travelers. Stretch of soft white sand and clean makes it more beautiful panorama of the island. Gradation white mixed with blue water makes Gaya island as a very fitting location for swimming.